On Wednesday the ministry went back on the statement that it would be suspending all contracts with NGO revising it to only new contracts, not yet signed. RIO DE JANEIRO, BRAZIL – After widespread criticism Brazil’s Ministry of Environment has backed down from the decision to suspend all agreements and partnerships with non-governmental organizations for the next 90 days. The Ministry now says that the suspension only applies to the signing of new contracts. 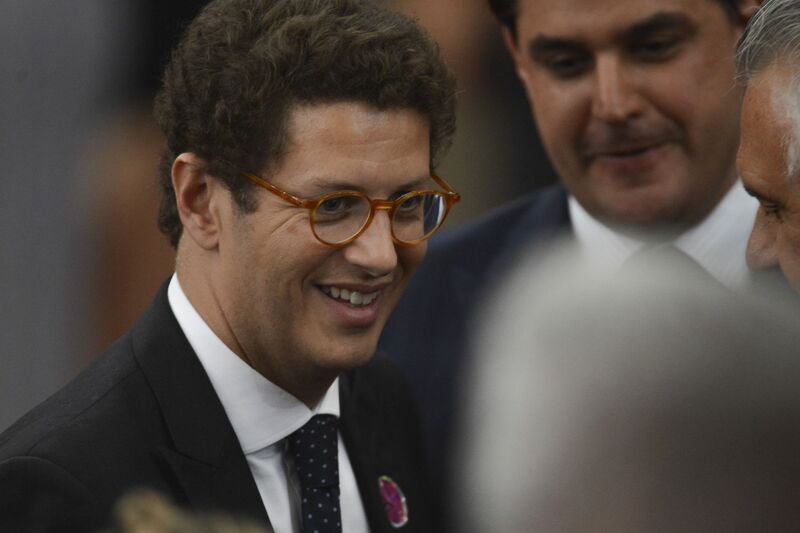 Ricardo Salles received heavy criticism from environmental NGO groups for his nomination as Brazil’s new Environment Minister, photo by Valter Campanato/AgBr. On Monday, the ministry had released a statement that it would be suspending all contracts with the third sector until officials could review expenditures with the partners. “The diagnosis will allow the evaluation of those who are able to have continuity, as well as those that may merit revisions,” justified the entity at the time. According to NGO Observatorio do Clima, Salles determination, if carried out, would be illegal and could possibly do unrepairable harm to the environment. “The minister adopts, without legal basis and without motivation, an extreme generic sanctioning measure, with the potential to cause discontinuity in federal environmental management. The damage will be to the environment, which in Salles’s thesis should protect, and to vulnerable populations across the country,” said a statement released by the NGO and ten other entities which work in the sector. On Wednesday, however, Salles was back to provoking the non-governmental agencies. According to Globo TV reporter, Andreia Sadi, Salles said he would make ‘surprise visits’ to some of the 40 NGOs that receive resources from the fund managed by the federal government. “Let’s choose some [NGOs] and go there and personally check what they’re doing with the money, how it’s being used, invested,” he is said to have told Sadi. Ricardo Salles was one of the last cabinet members to be nominated by President Jair Bolsonaro. Member of the Partido Novo (New Party), Salles was one of the creators of the Endireita Brazil (Straighten Out Brazil) movement and Secretary of State for the Environment in São Paulo under the administration of governor Geraldo Alckmin.